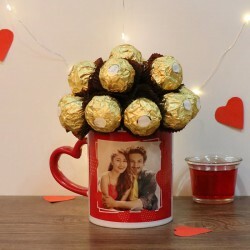 Apart from sending regular flowers, cakes, chocolates, the other thing that makes the best Valentine's Day gifts are the Personalized Gifts. 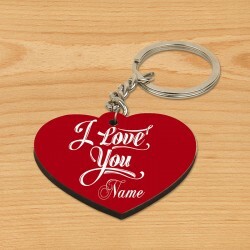 These allow you to add your personal touch to the gift which can be a great excitement for your loved one receiving him. Send Personalized Gifts For Valentine's Day and let your special ones feel elated. They say. “Falling in love is easy, staying in love is difficult.” For sure, being in love is the greatest joy. However, with time, the spark seems to fade and love takes a backseat. What to do in these situations? Sit back and watch love lessen? No. Here’s what will make it easy for you to keep the spark alive. Gifts play an important role expressing your emotions when words fail. 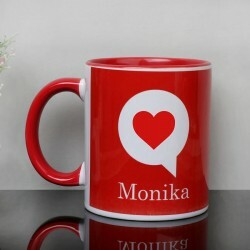 Especially with Valentine’s Day round the corner, opt for the most expressive tokens of love Valentine personalized gifts and let your gift do the talking for you. 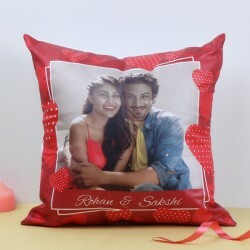 Add a personal touch to your gifting option with Valentine personalised gifts online at MyFlowerTree. 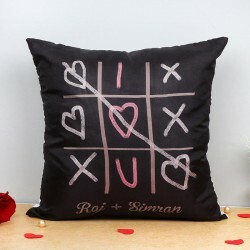 We have above 40+ gifts under Valentine’s Day personalised collection to help you delight your loved ones. 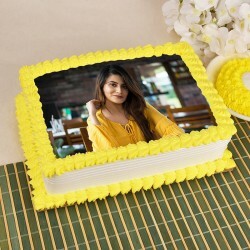 Pick from a wide range of Valentine photo cakes, customized Valentine’s mugs, love quotation cushions and so forth and they are sure to work best for everyone you love, whether it’s your significant other or your family. 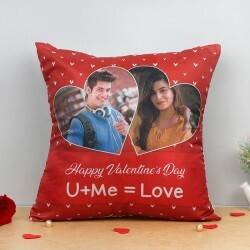 We have special personalized Valentine’s gifts for her if you are planning to make the first move or wish to make her swoon in your love. 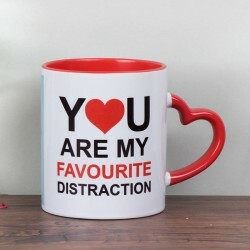 However, if you wish to ignite romance in your relationship, count on MyFlowerTree for the most amazing collection of personalized Valentine’s gifts for husband and wife. 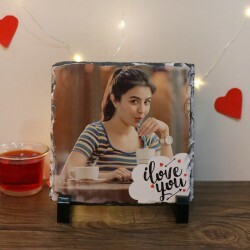 Surprise your beloved with a photo cake of his/ her favorite flavour or gift a coffee mug to remind them of you with every sip of coffee he/ she takes. 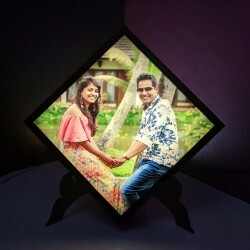 You may also choose to give other Valentine personalized gifts namely Love Frame, Photo Stone, personalised t-shirts and so forth. MyFlowerTree not only provides amazing collection of Valentine’s gifts but also makes sure your love gets delivered at the right moment. Our services doesn’t only include providing you with the widest collection of personalized Valentine’s gifts but also extend to providing you the same day delivery and midnight delivery of your gifts on Valentine’s Day. 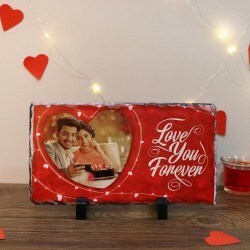 So, no matter in which part of the country your dear ones reside, order for Valentine personalized gifts in India and curb the distance with your heartfelt token of love. 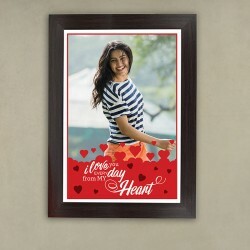 So, this Valentine’s, bring a smile on someone’s face with amazing personalized Valentine’s gift from MyFlowerTree.